The year is 2242. Earth has tiny outposts across our solar system. On Earth, the ancient artifact found in Peru that was thought to have been built by the Mayans is now known to be a Precursor artifact that is designed to greatly enhance the empathy of those it is used on. Earth's first interstellar ship, the Discovery, commanded by Colonel Aaron Roberts, is assigned to travel to Alpha Centauri to see if there are any colonizable worlds there. The trip will take 6 weeks using Hyperdrive. In the Sahara desert, the largest construction project in human history has begun. The colonization center has been designed to encourage people from around the world to become official citizens of the Terran Alliance, and thus qualify for the colonization program. 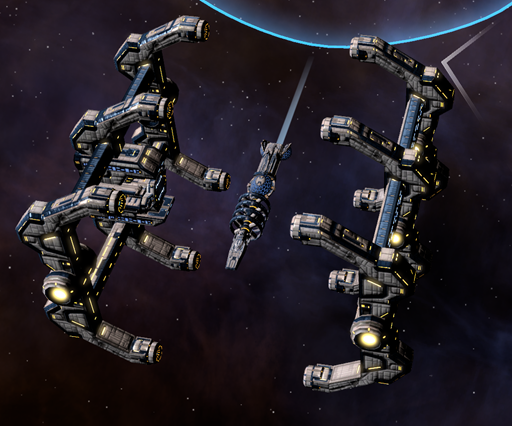 Meanwhile, near Ceres, a massive shipyard begins work on the Santa Maria, the controversially named first colony ship. 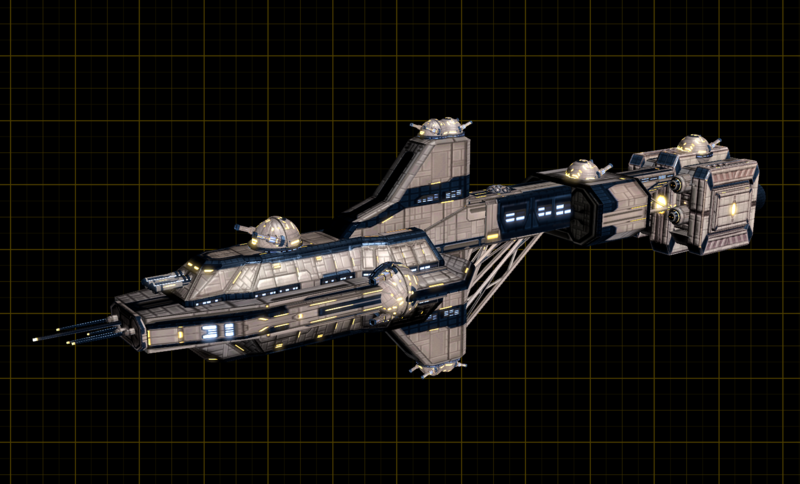 The colony ship can carry up to 100,000 humans in its massive city-sized holds. Back on Earth, the scientific community is focusing its efforts on figuring out how to construct space elevators. 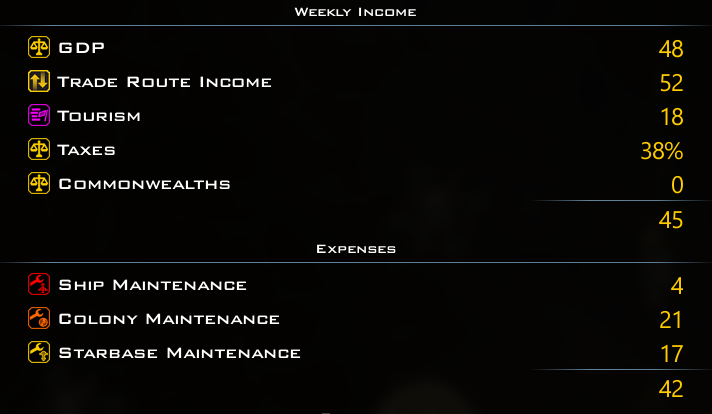 After the infamous debacle when constructing the Discovery (massive cost overruns), a cheaper way to get things into orbit has been mandated. The Discovery has reached Proxima Centauri. There are two habitable planets and a brown dwarf. Brown dwarfs are theorized to be able to be mined for a material called Promethion, which has recently only been produced in tiny quantities in the lab. This substance will allow our labs to greatly increase their scientific research. Meanwhile, Voyager has been tasked to go to Barnard's Star. On its way to Barnard's Star, the Discovery encounters what appears to be a massive abandoned Precursor factory. 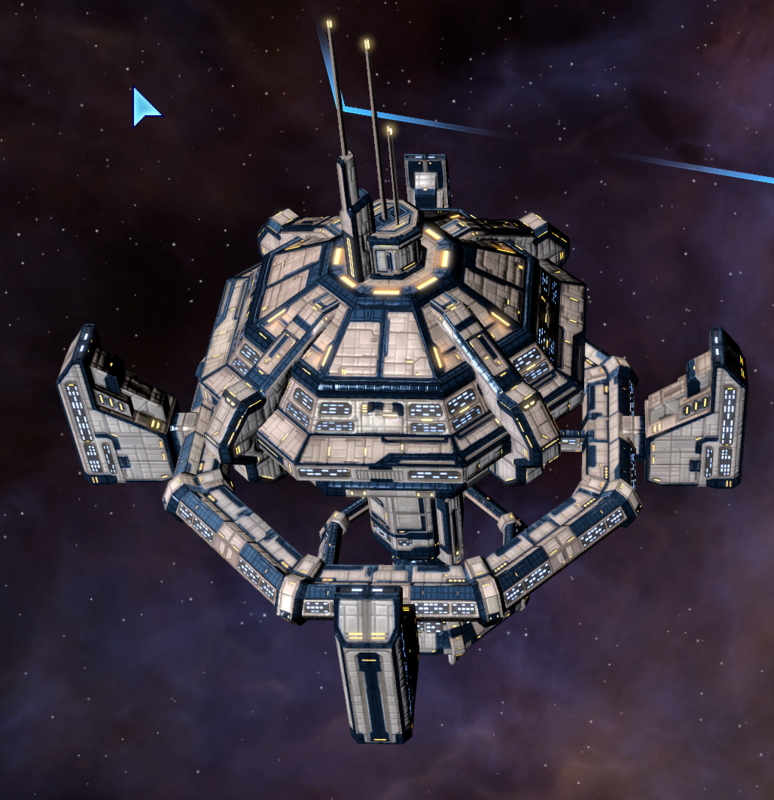 The Scientific (and military) community lobbies for the next use of the Ceres shipyard to be for a construction ship in order to place a starbase near it for further study/exploitation. After much debate, the resolution passes, though it's partially because the Colony ship does not have the necessary range to make it all the way to Proxima Centauri without stopping off for repairs and replenishment along the way. The destruction of the Santa Maria with its 100,000 passengers is our first contact with an alien species. And by contact, we mean their attack, and our ship's destruction. It is a devastating loss that calls the entire colonization program into question. The Discovery is re-tasked with returning to the area to look for survivors and deal with the threat. With its complement of nuclear missiles, it is hoped that the Discovery can provide security for future missions. Unfortunately, the number of colonists willing to volunteer has, not surprisingly, shrunk. Aliens have made contact with the Discovery. We cannot understand what they are saying. Are they the Santa Maria's murderers? Most believe so. Fortunately, the Discovery proves to be more than a match for the unknown aliens. 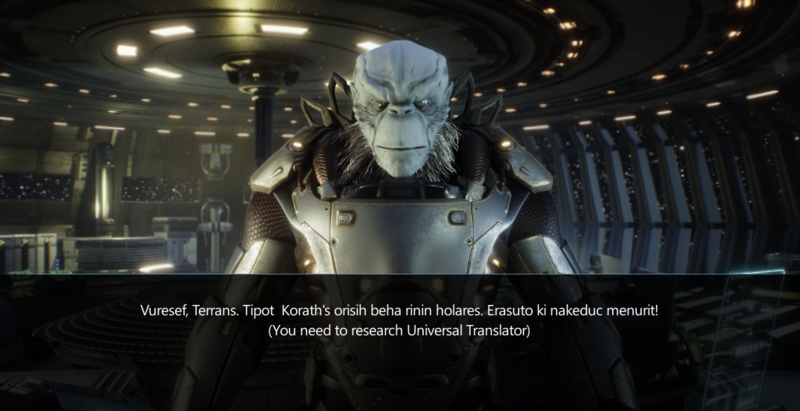 As the Space Elevator efforts begin to wind down, another group of scientists begin researching a "universal" translator based on a semi-strong AI linguistics computer. The second colony ship, the aptly named T.A.S. 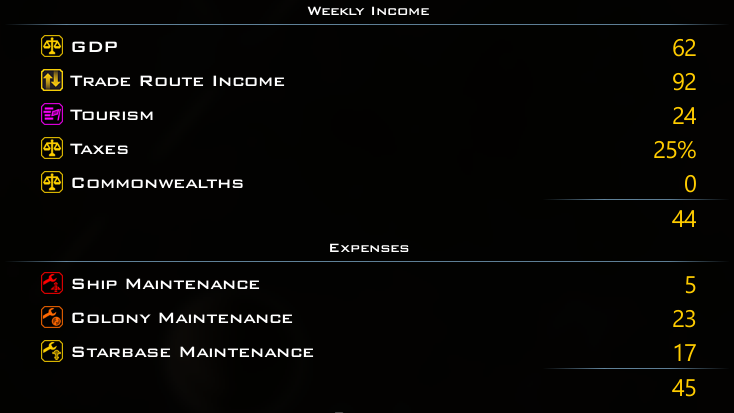 (Terran Alliance Ship) Persistence, is launched. Most of the citizens are from Denmark (for lengthy political reasons), and the new colony is named New Copenhagen. Because of slight improvements in Hyperdrive, they arrive at the end of May and begin establishing their colony. It becomes very apparent that the hostile environment will make things slow going. 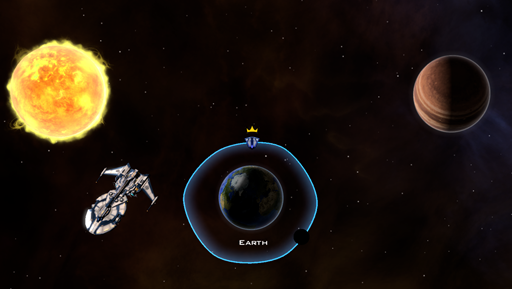 As a result, Earth decides to send a supply ship. 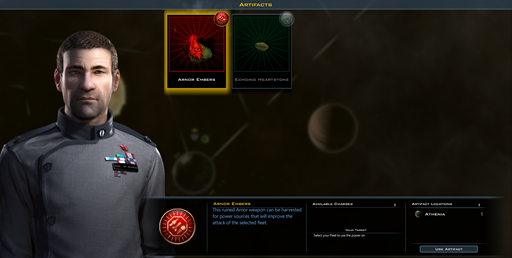 The supply ship will send manufactured goods from Earth to New Copenhagen to help speed up the growth of the new colony. Despite Mars already having tiny outposts on it, a massive colony ship from that alien civilization calling itself the "Korath" (new in Retribution) has colonized Mars. The first use of the Universal Translator is unsuccessful. 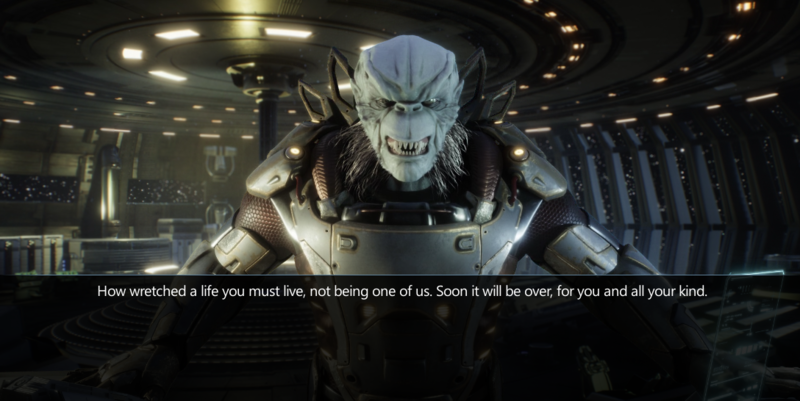 The Korath are not willing to leave Mars. Quietly, EarthGov decides to simply annex Mars through intimidation. 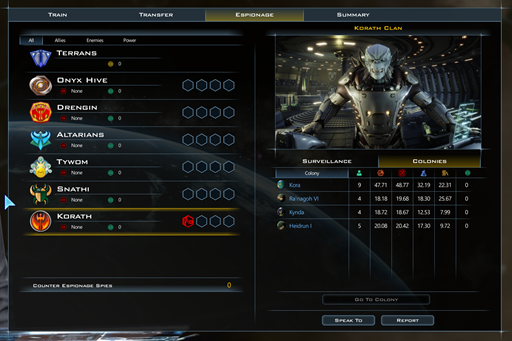 By the end of the Summer, Mars voluntarily joins the Terran Alliance without bloodshed. During the colonization period of North America, it took about 6 weeks for a ship to sale across the Atlantic. This was a problem then and it's a problem now with the new colony of New Copenhagen. 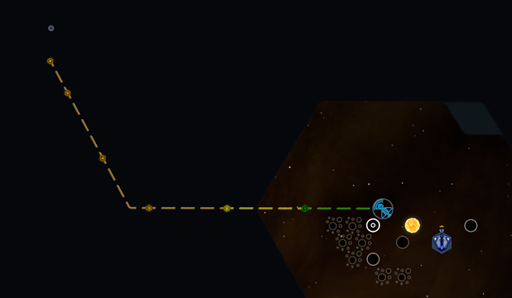 Luckily, a new (new in Retribution) technology has been discovered that will allow for "hyperlanes" to be created between Sol and Proxima Centauri, which should halve the travel time. The first "Hypergate" has been constructed just beyond Neptune. The second one is on its way to Proxima Centauri and will arrive in six weeks. 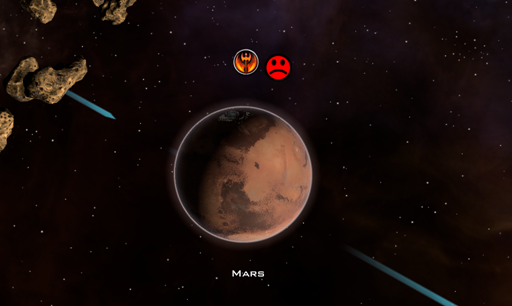 The Mars incident may have ended without bloodshed, but the Korath did not take it well. 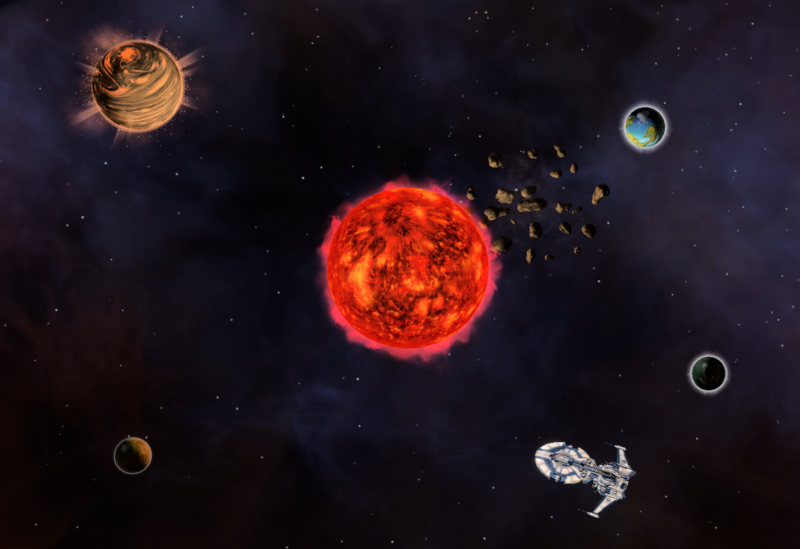 2242 ends with the Earth involved in an interstellar war! Earth has no combat ships. At all (other than the Discovery). Simultaneously, we encounter a species called the Altarians. They are not interested in getting involved. Our diplomatic efforts rebuffed, the Terran Alliance finds itself alone. New Copenhagen gets a sister colony called Athena and the first working hyperlane is now active, allowing for goods to begin flowing rapidly between Earth and its new colonies. All research is now focused on defensive technologies to protect ourselves from the Korath. Other civilizations have become known to the Earth and trade with them represents nearly half of the GDP. Tourism is even beginning to generate substantial revenue. 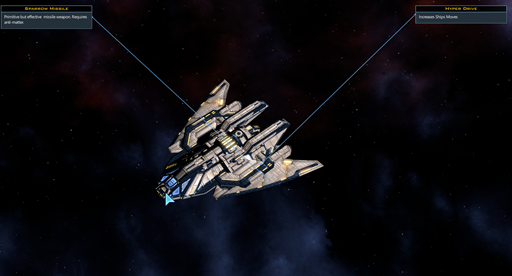 The Defender class ship is constructed. Designed to travel quickly between colonies. It is primitive but will at least prevent "another Mars" where a giant, unarmed ship can simply park in orbit and unload enemies onto our surface. The war has also brought out new concerns from colonists regarding their say in their protection. After much debate, a new form of government (governments are added in the Intrigue expansion) is chosen. This means that the colonists will be able to vote directly for the President of the Senate. The tax rate of 38% is threatening to cost the government the next election which would be a disaster. 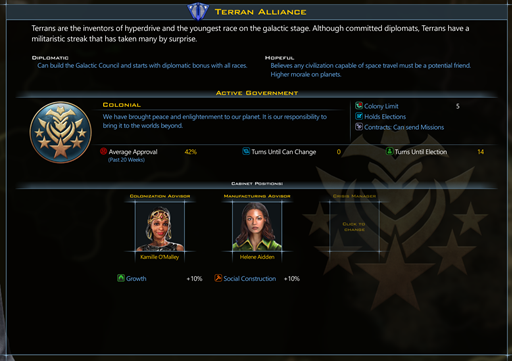 Moreover, the reliance on trade income from civilizations that are free to cut off trade at any time has resulted in a new dual policy for the Terran Alliance. First, the construction of a new starbase between Proxima Centauri and Earth that will act as a resting area for alien travels, and thus connect our influence between Sol and Proxima. Second, the easing of regulations to allow for more consumer goods to be produced on world by alien civilizations via their "entertainment centers" which loosely translates to factories producing alien goods much desired by the native population. The Andromeda starbase is designed as a rest stop between Proxima and Sol, which hopefully will increase tourism to Earth. 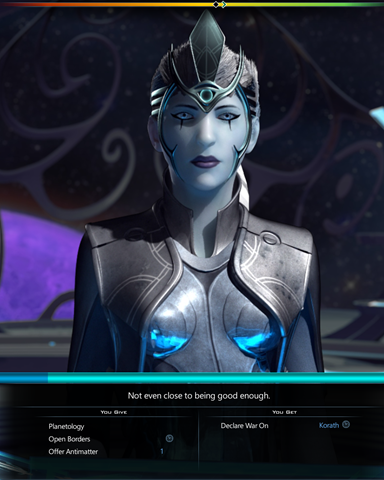 It has been nearly a year since the war with the Korath began. 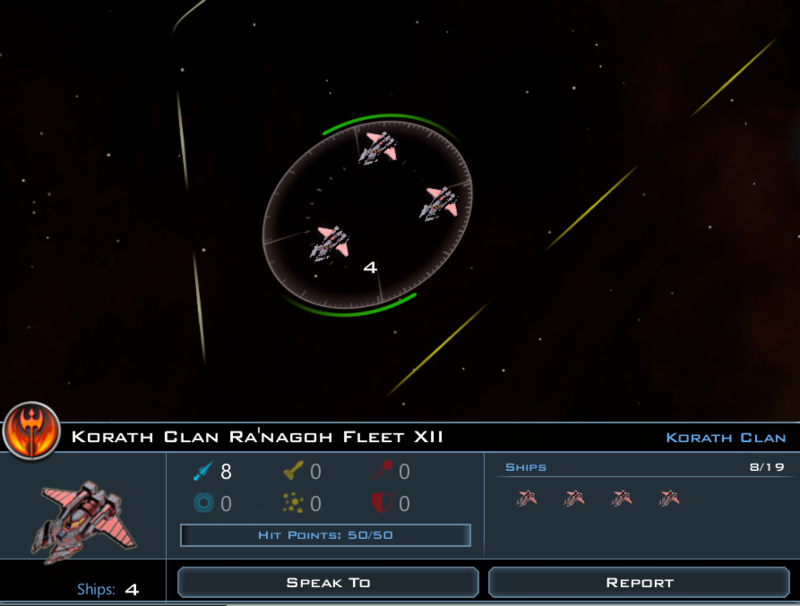 Thus far, they have primarily raided our scout ships to prevent us from expanding into the Barnard's star region. 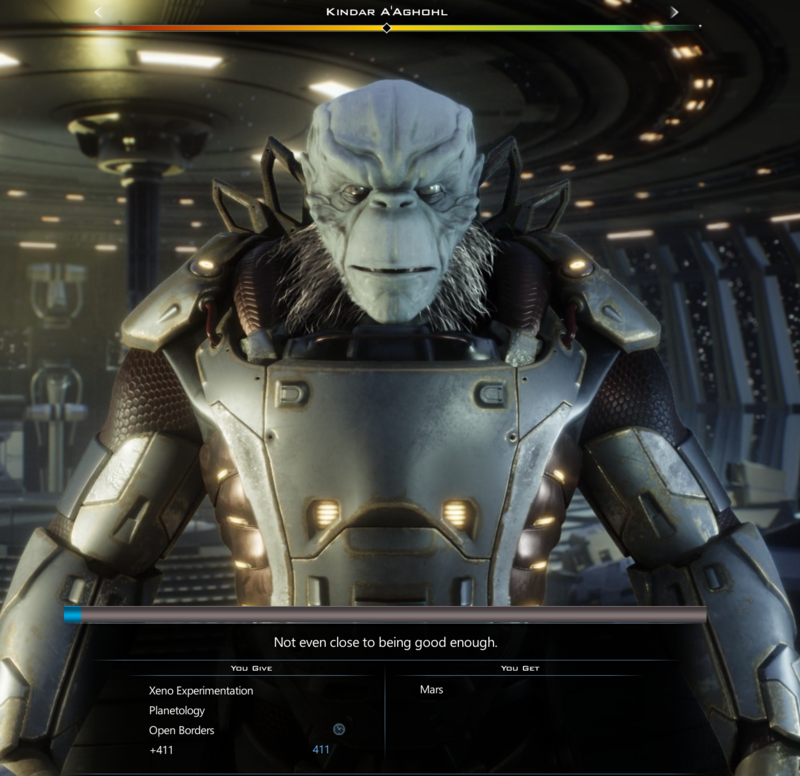 Thanks to some technology acquired from another alien species we've encountered, we have begun to build up a spy network to see what can be done. The Korath are about on par with the Terran Alliance. Four colonies apiece. It is a war that the humans are determined to win. However, the Korath are significantly ahead of the humans when it comes to weapons technology. Their weapons are energy based. Some sort of laser or plasma technology. The humans begin to design a counter. Thanks to Steam Workshop, we have lots of ship designs to choose from. The Hyperion class frigate (designed by a player who uploaded it to Steam workshop) is equipped with two nuclear missile launchers. 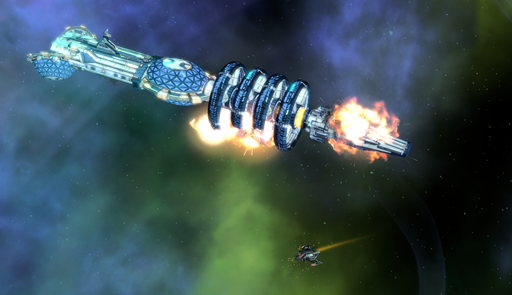 The prototype Hyperion, placed in orbit of Earth, causes the Korath fleet to turn around and return home, deterred by a battle they are not prepared to fight. Unknown to the Korath, a Precursor artifact was found on Athenia and studied. If necessary, the Korath would have encountered an Hyperion with supercharged weapons. The government was relieved to not have had to use it, as it would have been a one-time advantage better saved until the absolute most dire of need. The first election is held and it is decidedly close. 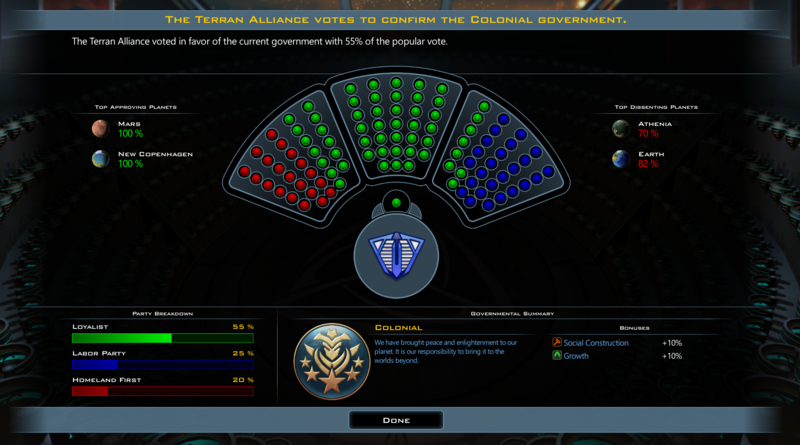 The loyalist party wins, but with only 55% of the vote. New Copenhagen is, obviously, pleased with the results, but mainly because Earth is footing the bill for protecting them which shows in the exit polls. 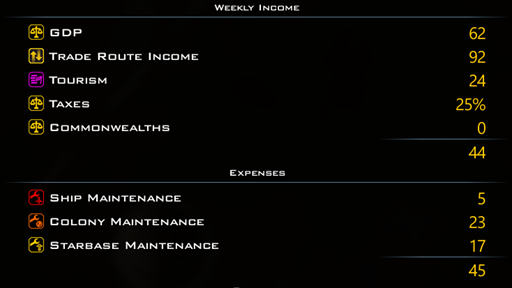 The financial situation for the Terran Alliance has become been relieved. 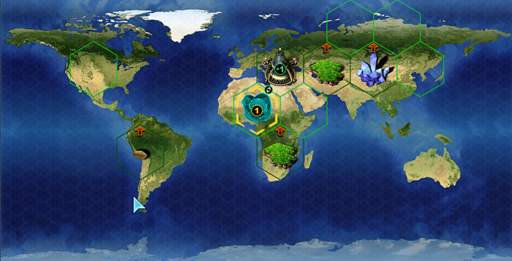 Earth's spies have discovered that the Korath are engaged in 4-sided war. Despite being militarily powerful, the Altarians are keeping them from bothering Earth. 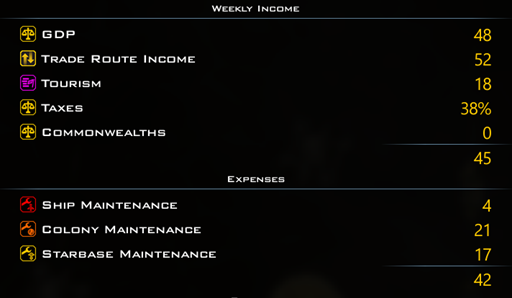 Can it be that colony and starbase maintenance costs were significantly increased? 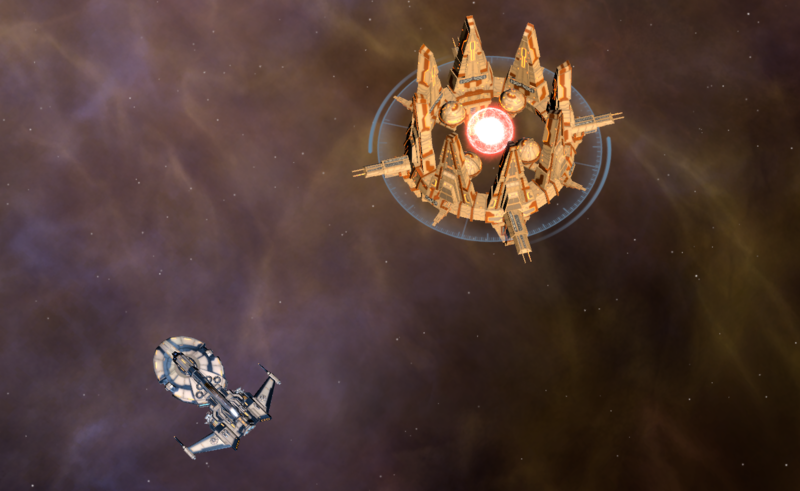 Can artifacts like arnor embers be applied to a fleet anytime with zero delay, e. g. right before a fight? What means "one charge", is that for one fight only, even it would be against a tiny scout? Ah nice stuff. Looking forward to more. 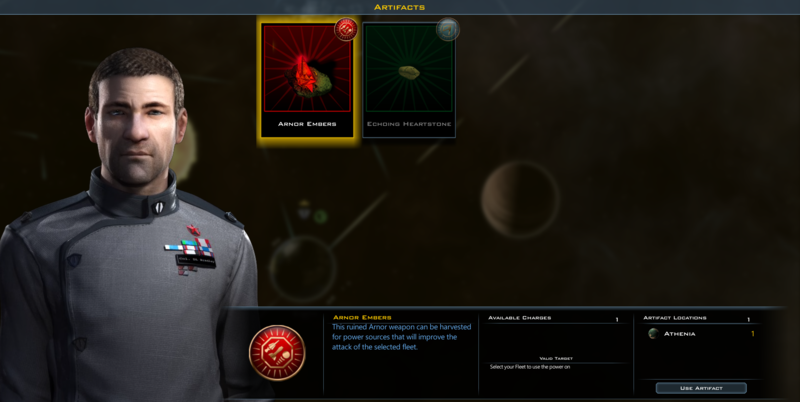 A thing that kinda bugs me though is that the AI is (still) colonizing chanceless planets like Mars. 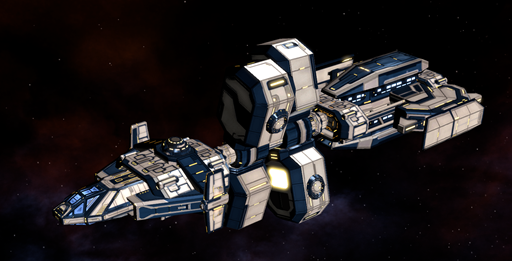 Besides it being slightly annoying to the human player it's a waste of a good colony ship by the AI. It always gets converted because of Influence.